Ranging from sweet and mellow contemplative piano/vocals to joyful, upbeat and band driven original worship music. 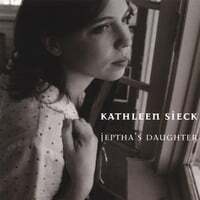 Kathleen’s clear, lyrical voice and the heartfelt words of each song are the highlights of this album. With a wide range of instrumental style from the simple rhythms of piano, guitar and vocals to a broader, more exuberant band driven sound, this CD is geared for the spiritually minded. Many of the lyrics are scripture-based, giving the listener a fresh take on some favorite biblical passages, including a benediction using Christ’s words to his followers in John 17 (Track 14, titled “My Peace”). With the exception of track 6 (an achingly beautiful performance of Breathe on Me Breath of God), all of the songs on the album were written or arranged by Kathleen Sieck, whose vocal performance is consistently evocative of the state of the inner heart.